We will submit your website to more than 600,000+ search engines and directories. Visit the "Engine List" to see a sample list of the major and more permanent search engines and directories to which your website will be submitted. A professional detailed report (over 50 pages) will be e-mailed to you with the results of the submission. As LOW as $7.50 per submission. We offer 300 Google Plus One votes for your website. Google Plus One votes or likes will help your website in the search engine rankings. Furthermore, it shows that your website is liked by many visitors and establishes credibility. We use real users with different IP addresses and proxies. Moreover, given it’s a Google tool and will likely influence Google search engine rankings, it’s a must have on any website and blog. 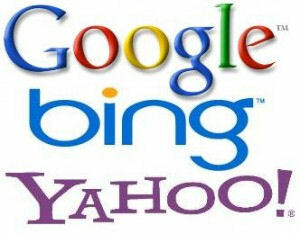 We will create 300 EDU backlinks for your website. EDU links are a premium in the SEO market and help your tremendously in the search engine rankings such as Google, Yahoo and Bing. EDU links are very powerful and a major requirement if you are interested in improving your ranking in the search engines. A report will be provided after submission listing all the EDU links. Your press release will be sent directly to over 17,000 media outlets, thousands such as major newspapers, college newspapers, TV & Radio Stations, major magazines, etc. and important members of the media community including editors, broadcasters, press journalists and freelancers -- without the high costs of hiring a PR agency. A press release is the most powerful form of advertising that even money can't buy! 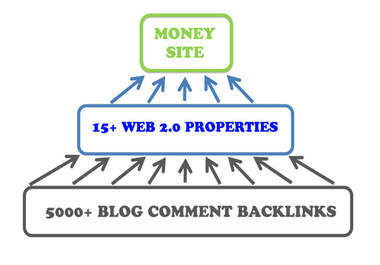 Backlinks are extremely important and we offer to create 15 Web 2.0 Blogs and 5,000 Blog comment backlinks to the 15 blogs. Provide an article or we can scrape an article and use it for the blogs. A report will be provided after submission, listing all the links. This service offers backlinks to stats websites, domain valuation websites, checking traffic stats websites, etc... We will submit your URL to over 3,000 of these websites which have a PR1-PR8 Google ranking and index the submitted URLs the same day. It takes quite a bit of time to to get your site indexed in the search engines and this service definitely helps. A submission report will be provided listing all the links.